Don't worry, we still carry the JTC style replacement blade unit and drive sockets spare parts... just not the jar. Blenders, especially the Omni blender, Blendtec, or Waring blenders, do not break very often, we have decided to stop selling blenders all together and go into the after-market blender container and blades and tamper business. 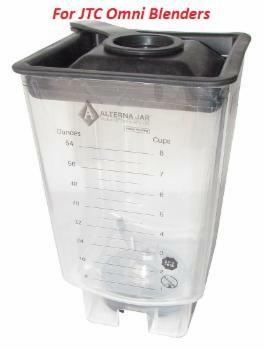 Our new jar, called the Alterna Jar and Blades, fits specifically on the Blendtec blenders series. The same blender jar also fits on the bases (and they are al l just about the same) like the JTC Omniblend, Waring 3.5 hp blender (there are smaller less powerful Waring blenders onto which the Alterna Jar does not fit), private labels like Klarstein, Optimum, and Good4U, etc.... of course others as well, and so on. Our blender warranty info and the general explanations of jars, blades, our previous blenders and applicable comparisons on this website, and how to use a blender, or the Omni specifically, is still going to be maintained for a while. But we will gradually completely move away. Our company known as Alterna Jars and Blades or Alterna Jar, or Alterna Blender Jar is a 123Vita LLC company. 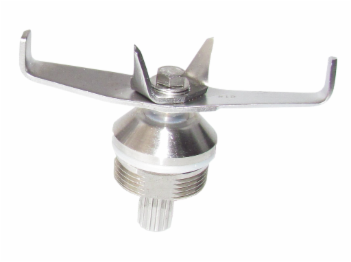 We have our products trademarked and patented pending filed, as well as in some cases a full patent filed. We are the ONLY after-market jar producer in the world focusing on the most popular high-end blenders.